Windows XP Professional 32 BIT,Installed. AMD X 2 Dual Core QL-65 @ 2.10Ghz. Yes, Via Ethernet Cable. Optical drive disk trays have been tested. Computers have been cleaned inside and out. OPTICAL DRIVE. 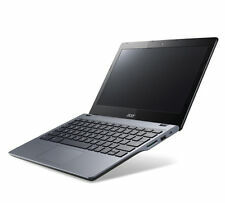 Dell Latitude E6400 ATG Tough Design Laptop. - 4GB RAM 250GB Hard Drive. 250GB Hard Drive. 4GB DDR2 RAM. Ethernet Port. - DVD RW Drive. Battery Life. Item Pictures. Original IBM ThinkPad R51. And all the other basic thinkpad features. 1 USB ports. 512 mb ram. The Core 2 Duo T2400 is a dual core mid-end processor running at 1.83 Ghz. Ready to go. All drivers loaded. Original Dell Power Adapter included. Good condition. Matt Screen. Size is 14" with 1280 x 800 Resolution. Panasonic CF-51 Semi-Rugged Toughbook. Entry level Toughbook. 40GB Hard Drive. 2GB DDR2 RAM. Inbuilt WiFi. 1 x Panasonic CF-51 Laptop. In case of any problem we will help. Battery Life. Laptop is still in good working condition considering its age and has Windows XP installed. Windows Vista can also be installed but I no longer have the installation disks. 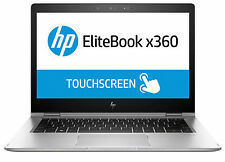 Laptop has recently been wiped and XP installed but no drivers or virus software has been installed. 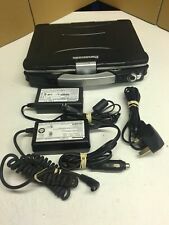 Needs new battery, but works if connected to AC power (mains adapter included). Model is PC764. 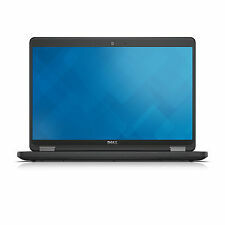 Dell Latitude D620 14.1" Laptop. Opera 36 web browser (XP-compatible) has also been installed and tested. Spare battery supplied with similar life. Loads of software including office 2010, Delphi 2015 car, wow 5.0012, tolerance, ideal for vehicle diagnostics you just need a USB scanner either delphi or snooper available on e bay. This was my daughter's laptop, before she went over to the silver machines. It's in good working order and good condition. There are a few minor marks on the screen, but I would say nothing serious. Webcam, WiFi, Bluetooth, Card Reader, USB x 3, LAN socket, Touchpad, Keyboard, etc all in full working order. It is currently running on Windows XP butwill operate on Linux, Windows 7, and Windows 10. Two 512MB SODIMMs, for 1GB total RAM. Laptop is in good condition, with minor scratches, as to be expected. Asus Eee PC Laptop. Very good condition EXCEPT I do not have the original PS and I'm not sure how well the battery holds its charge. I will include a generic PSU which works fine but the casing has been slightly melted. I don't even know how that happened! But otherwise the laptop works fine, given it's XP and the OS can't be upgraded to my knowledge. Starting price is the reserve. Panasonic Toughbook CF-19 Mk1. Fully refurbished and ready to use. In reality this is likely to be within 24 hours dependant on how busy we are. You may collect. Variation in these will invalidate warranty. 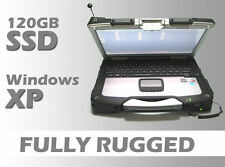 Panasonic Toughbook CF-29. Condition is Used. Dispatched with Hermes. Windows XP Pro Powers up, charges, WiFi is working, keyboard works but that's all I have tested. Screen is in good condition. Immaculate looking Samsung notebook that has had the hard drive wiped clean and is running Windows XP. The only blemishes on the whole notebook are light surface scratches on the gloss black cover (which can only be seen in direct light). This is a smart laptop in black and silver. The battery is untested, but an AC adaptor will be included in the sale and the laptop works perfectly from the mains. Fully working Microsoft Windows XP professional. In addition, the resolution can relieve concerns of the full display of WebPages while browsing, giving you the freedom when exploring the internet. With the battery fitted the 1 Kg weight makes the U100 ideal for taking on the go. Pentium M 1.5ghz. Couple of keys missing on one laptop. Printed instructions not always provided and are often replaced by the manufacturer with online versions. This laptop does not have a DVD drive or a Webcam. Condition is Used. Original power lead included together with original slip case and for safe transport will include a more padded slip case I bought for it. Have previously had Win10 working on this PC with no issues. Screen size: 10.1". Storage: 160GB HDD. 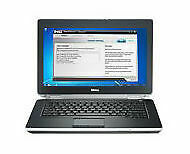 Fast Dell Latitude Netbook 2110. Small but sturdy and solid. Acer Aspire One Windows XP 11" Screen. Condition is Used. Collection in person only. Good for basic usage. Condition is Used. Dell drivers and utilities & applications disc. Runs slow, but better now that I have reformatted the drive, possibly okay to use for light word processing or for spares. Could be upgraded probably need to check out this. Sold as photos and information given. Laptop Acer Aspire One D250 1 RAM 160 HDD Windows XP 10,1'' Screen. In good condition,has been well looked after. Generic login.Comes with CC Cleaner installed,and AVG anti-virus. Comes also with Word. Hp pavilion DV6000 15.4 Core 2Duo 1.60Ghz 100GB 2GB WInXP - Retro machine. Samsung R530 Laptop. Samsung R530 laptop. Windows XP Professional 32 BIT,Installed. Yes, Via Ethernet Cable. Optical drive disk trays have been tested. Computers have been cleaned inside and out. OPTICAL DRIVE. IBM Thinkpad T40 with Window XP Professional - with charger and docking station. IBM Thinkpad T40 with Window XP Professional - good condition with charger and docking station.Good condition. Microsoft office software included ie: Word, Excel powerpoint and outlook. other software also included. The stylus / pen clip is broken off so you can't now hook it over your pocket. Originally had a spring holding the pen to the tablet but this is not present. Most households usually have one kicking about. Connectivity ports : VGA, USB, SD card slot, Ethernet Port. Great handy removable cover/case which makes easy to carry and protect the laptop. Overall good condition laptop. RAM Size 1 GB. Hard Drive Size 30 GB. Designed for convenience, portability, and performance, these Windows XP laptops and netbooks pack a lot of processing power into a small unit so you can work from anywhere. These thin, light computers found in this eBay collection offer many hours of battery power and many ways to connect to the internet for easy convenience and to help you maintain a high level of productivity. How does a laptop computer differ from a desktop computer? Laptops offer portability and can be taken wherever you go. Chip away at work projects at the library, on holidays, or at your home. Since most laptops offer wireless internet connectivity, using them to work in different locations is even easier and more tempting. Since they are more compact, they also conserve space in smaller office spaces. Laptops are all-in-one systems with on-board monitor, keyboard, mouse pad (or touch pad), and speakers. Peripherals can be attached to laptops, and they can be used as desktop computers. It can function on its own with no peripherals or power cable connected. They are quick to set up and use. They typically boot faster than a desktop computer to help maintain your level of productivity. Netbooks are smaller, lighter notebook computers that usually offer less processing power than full-size laptops, but they can still be utilised for word processing, connecting to the internet, and simple web browsing tasks. Considered "small form" computers, Netbooks have paired-down operating systems with small keyboards, small screens, and less storage space than standard laptops. Many affordable options are available on eBay. How do you keep your laptop or netbook secure? Even though support for Windows XP has ended, you can still follow the tips below to keep your Windows XP laptop running smoothly and safely. Install existing updates: All updates and security patches are still available online. Ensure that you've downloaded and installed all of them. Use anti-virus protection: Install and use a current anti-virus program on your laptop, ensuring that it's kept updated at all times. Manage software: Only use software that is absolutely necessary and secure. Keep these software programs updated. Remove any programs that are vulnerable or not necessary. Update drivers: It's important to keep drivers updated as well. Use a secure web browser If you've still been using Internet Explorer, it's time to find another web browser to use with Windows XP like Pale Moon or Midori. Disable Java: This means that you will still be able to run standalone Java-based apps. Your web browser just wouldn't be able to run such content online. Content provided for informational purposes only. eBay is not affiliated with or endorsed by Microsoft.